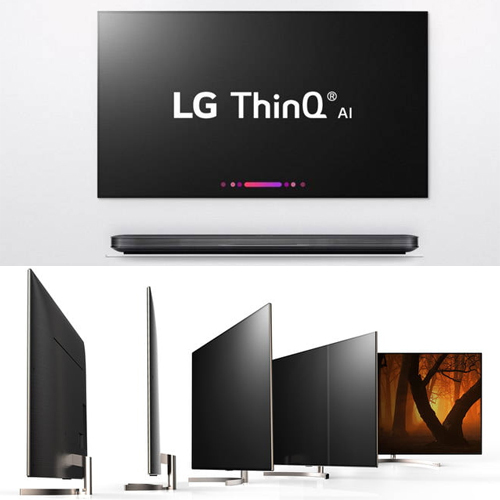 LG is all set to make your living room no less than something out of a sci-fi movie with its new ThinQ series of OLED and Super UHD TVs. LG will be revealing the new series at CES 2018 which is scheduled to begin next week on Tuesday. The new series will use Artificial Intelligence to interact with the consumer with the help of Google Assistant. With this feature LG customers can speak directly into the remote control to give voice commands to the TV. Other than just being a smart TV, the ThinQ sets will also be able to act as smart home hubs through which the users can control all other gadgets in the household such as robotic vacuum cleaners, air conditioners, air purifiers, smart lights, smart speakers and many other devices that can connect to the TV via Wi-Fi or Bluetooth. ''I was watching a movie in bed with a new guy I was seeing. Being a gum addict, I was chewing a piece...and fell asleep with it in my mouth.